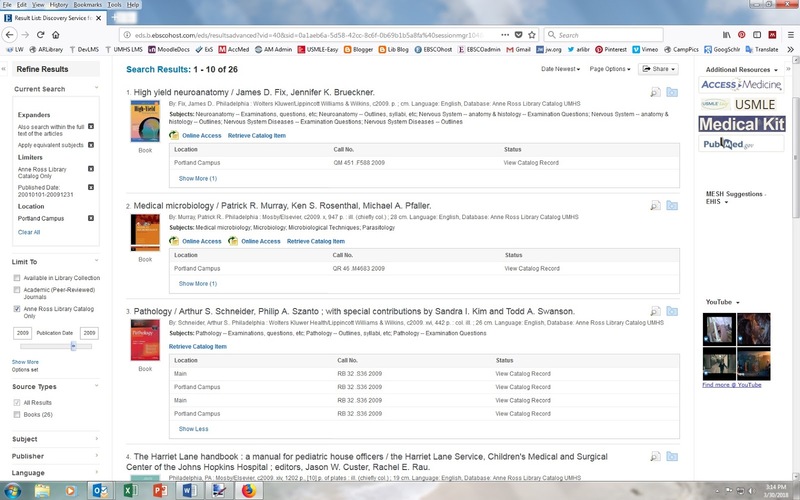 The Anne Ross Library at UMHS is please to be trialing EBSCO's new clinical point-of-care diagnostic database called Isabel. 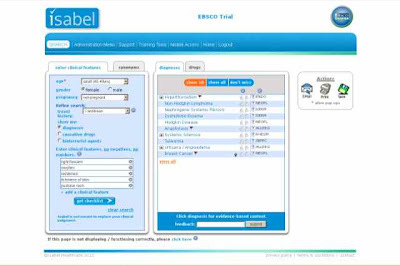 "Isabel is a web-based, Diagnosis Checklist System designed to assist clinicians that may have diagnostic doubt or want reassurance on a particular diagnosis. Isabel provides a practical and dynamic diagnosis checklist within the normal workflow either as a standalone tool or fully integrated with the Electronic Medical Record (EMR). 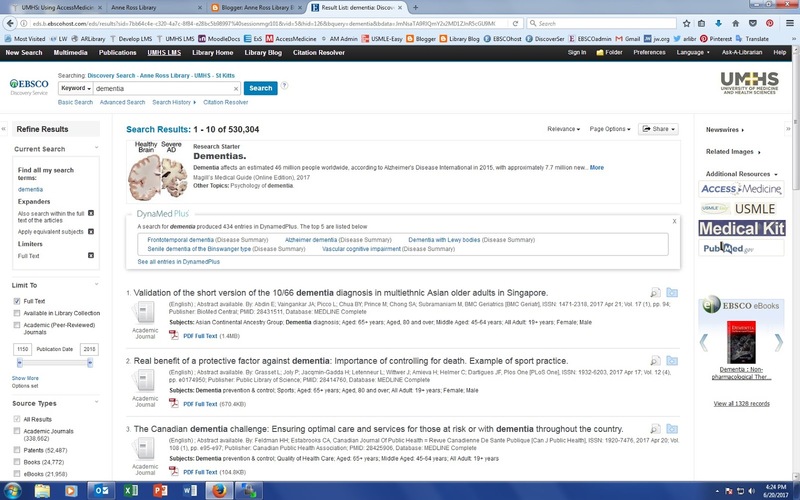 Isabel enhances the diagnostic determination process by complimenting the expertise of the clinician, minimizing risk at the most important decision point in the care process." The evidence shows that the most effective way for clinicians to improve the quality and speed of diagnosis is for them to work up a comprehensive hypothesis or list of likely diagnoses for their patient. 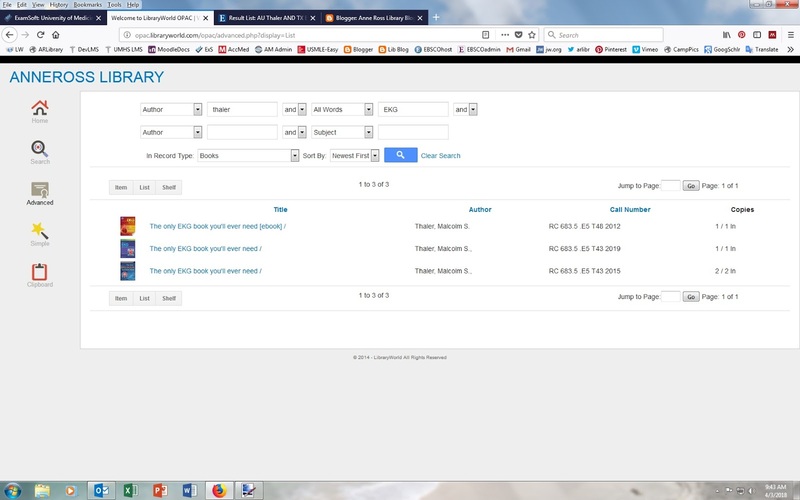 The Isabel clinical decision support tool enables them to do this at the point of care and operates 'hand in glove' with DynaMed and Medline Complete. 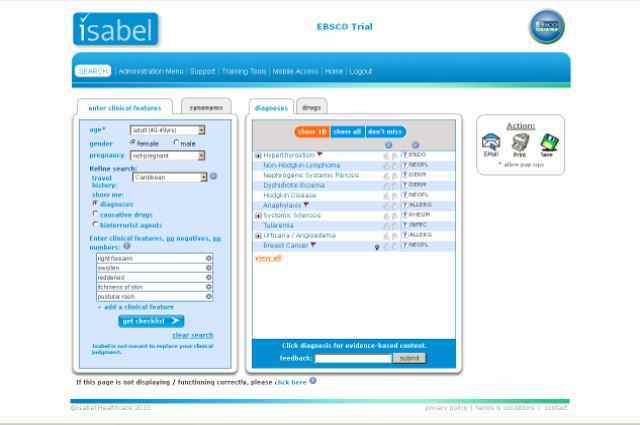 "Recent studies have proven that clinicians who 'Isabel' their patients at an early stage are able to substantially reduce clinical risk by ensuring that important possible diagnoses have not been missed." 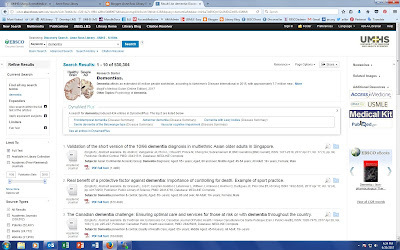 "In a recent study in the UK, physicians using Isabel found that in 29% of their cases they no longer needed to refer, 36% said they referred more appropriately, and their overall referral rate decreased by 15%." 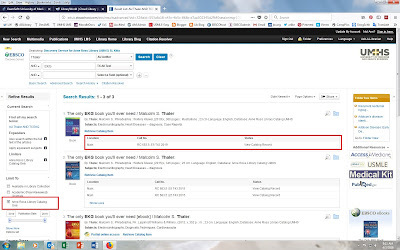 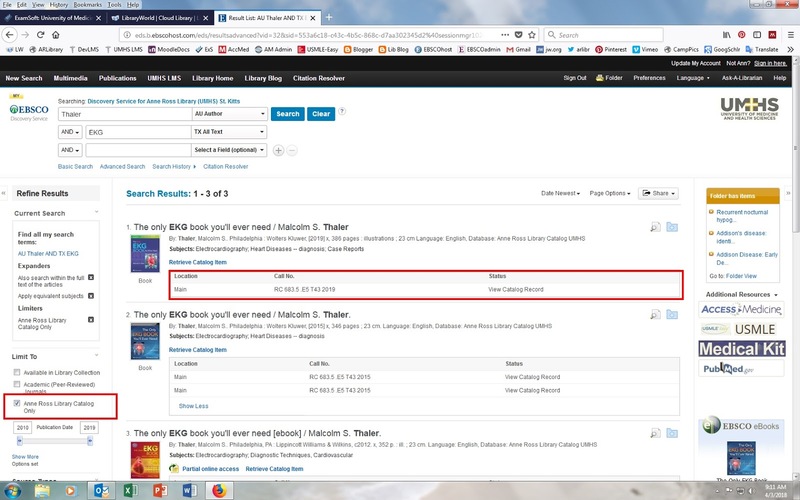 Access via the Library Home Page with your EBSCO login.